When I was researching Spanish text messaging for Question #55 in my book, I was intrigued by the frequent substitution of the letter k for qu and c. This pattern is especially curious because the letter k isn’t native to Spanish. It normally appears only in borrowings such as kilómetro. Not sure about other countries, but in Spain, substituting the “k” traditionally conveyed certain social/cultural/political leanings. It goes back to the early post-Franco years and was initially a punk way to hack the language (see Kaka de Luxe, Rock Radikal Vasco, etc.). Basque also has had an influence. That’s a lot of power for a simple letter of the alphabet. 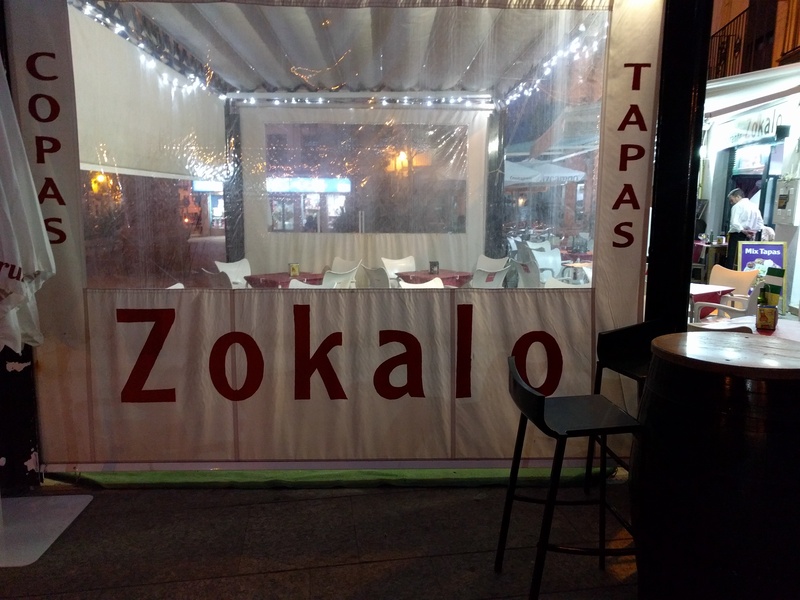 Given this background, I was excited to see many uses of k in business names and graffiti when I was in Spain in May. Here are some pictures, with my captions as color commentary. 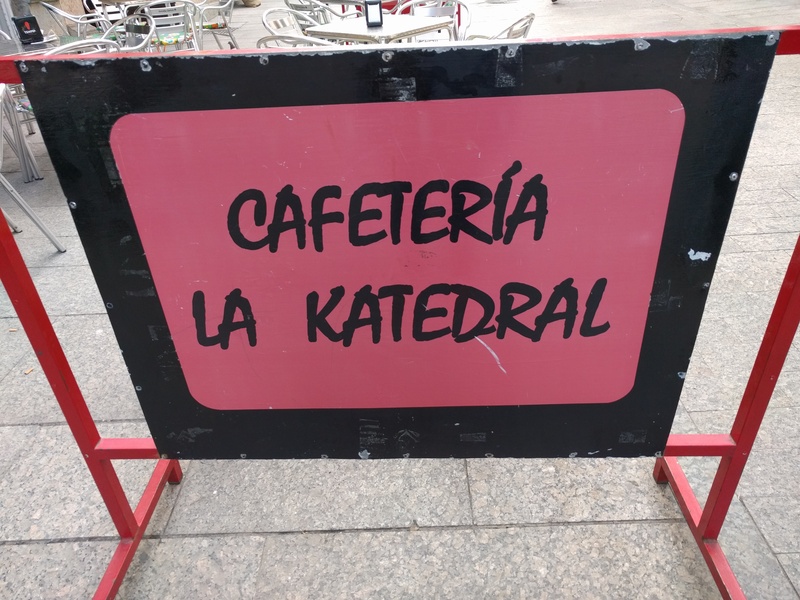 Here the “cool” spelling of “katedral” contrasts with the normal spelling of “cafetería”. 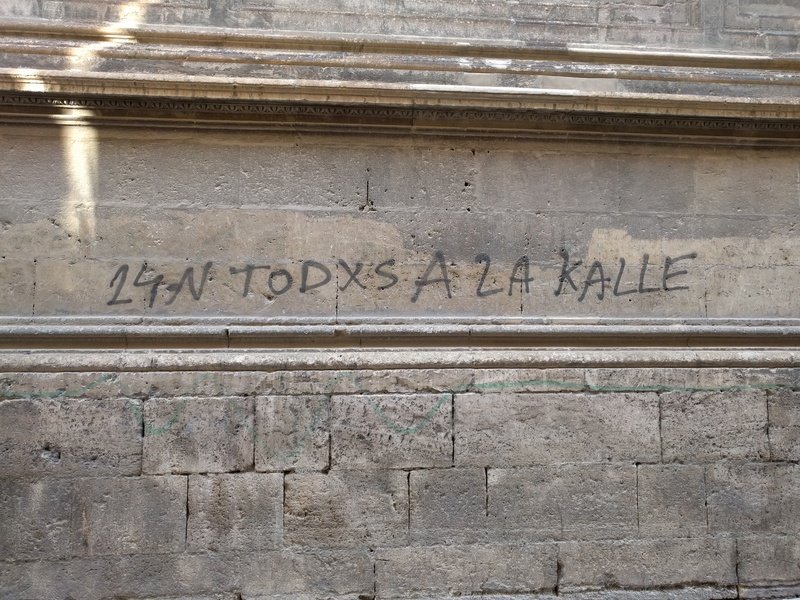 In this graffiti calling for a street protest, the “k” of “kalle” is a natural fit with the gender-neutral “x” of “todxs”. The accent mark is missing, too. Here the street-smart “k” is coupled with another deliberate misspelling, of “z” for “c”. 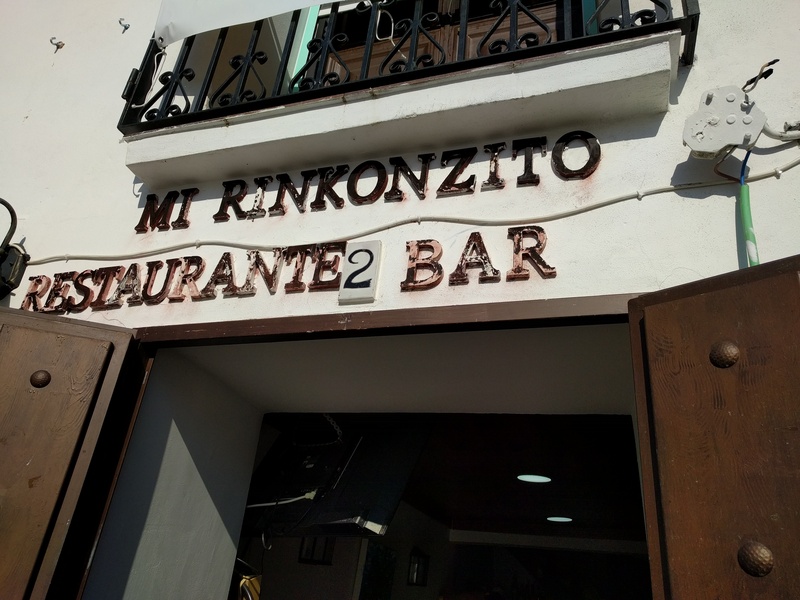 The full conventional spelling would be “rinconcito”. OK, this graffiti has nothing to do with “k”. 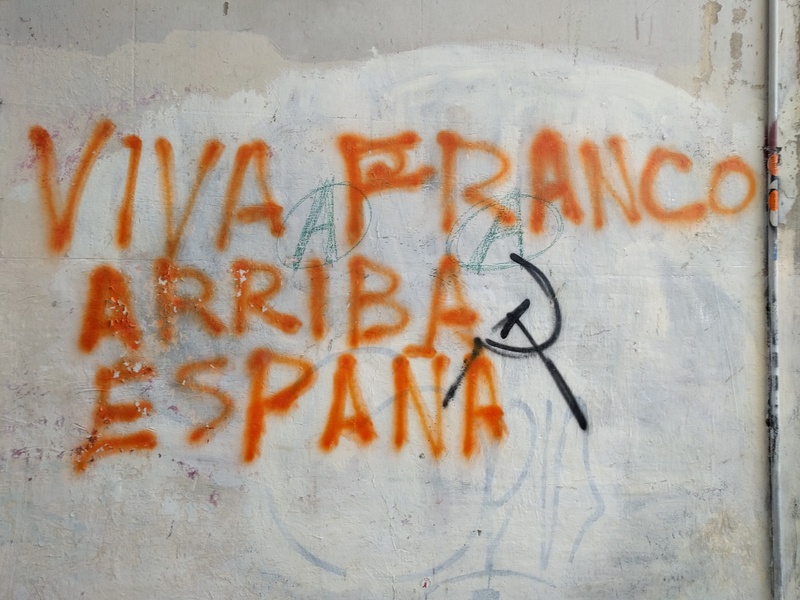 But I couldn’t resist including it because it was so striking to see a pro-Franco slogan in the year 2018, a full 43 years after the dictator’s death. Note also that the the tilde in “España” is present. This entry was posted in The written language and tagged Franco, graffiti, names, Spanish on 27 July, 2018 by jhochberg.